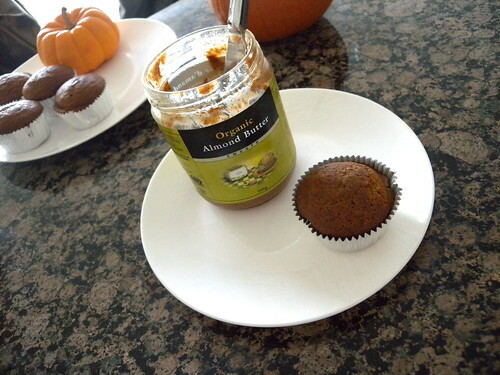 I whipped up a batch of pumpkin muffins so good this morning that I just have to share with you. Think of it as a thank you from my blog to you. I based the recipe of this loaf I made last year, but I must say I even prefer it in muffin form. Smothered in almond butter of course. 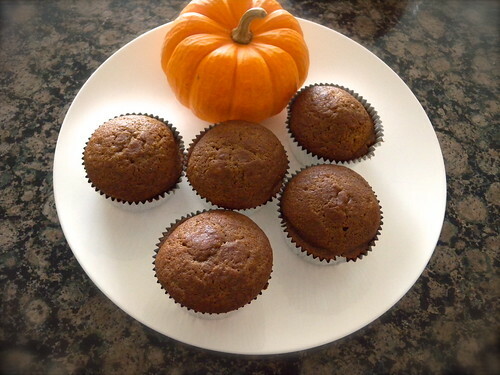 Preheat oven to 350°F and line muffin cups or tin with coconut oil to prevent sticking. Pour into muffin tin (use extra batter in a small loaf pan). Bake 30 minutes until a thin skewer poked in the very center of the loaf comes out clean. Turn out of the pan and let cool on a rack.